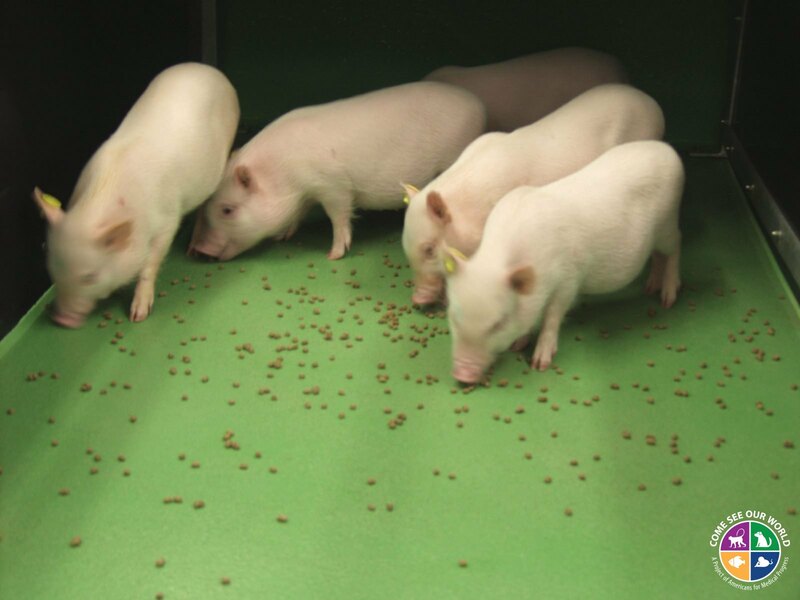 Minipigs needed for research are fed on the floor so that they can root and forage for their feed using their snout. They are also offered many different types of toys to help provide tactile enrichment as they enjoy sniffing, touching and manipulating objects with their snouts. And, of course, they enjoy anything they can eat.